Lycopersicon lycopersicum 55 days Semi-determinate Stupice, pronounced “stoo-peech”, is an heirloom from Czechoslovakia. 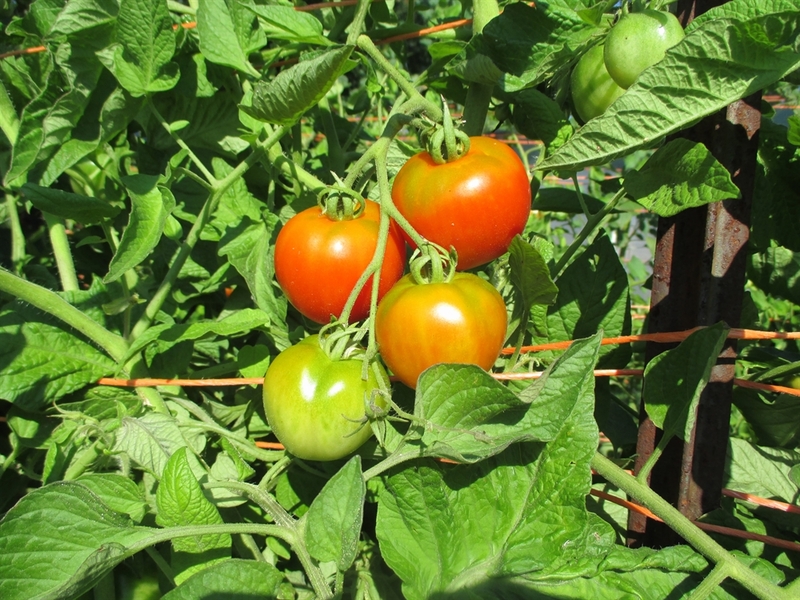 I have searched for a long time to find a very early, cold hardy, productive tomato with delicious flavor. 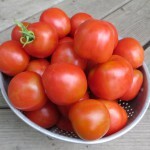 After trialing many varieties over a number of years, I finally settled on Stupice as the best, most flavorful early tomato for growing in Northern Indiana. Of course, the search never ends for a new candidate that is equally good or superior. 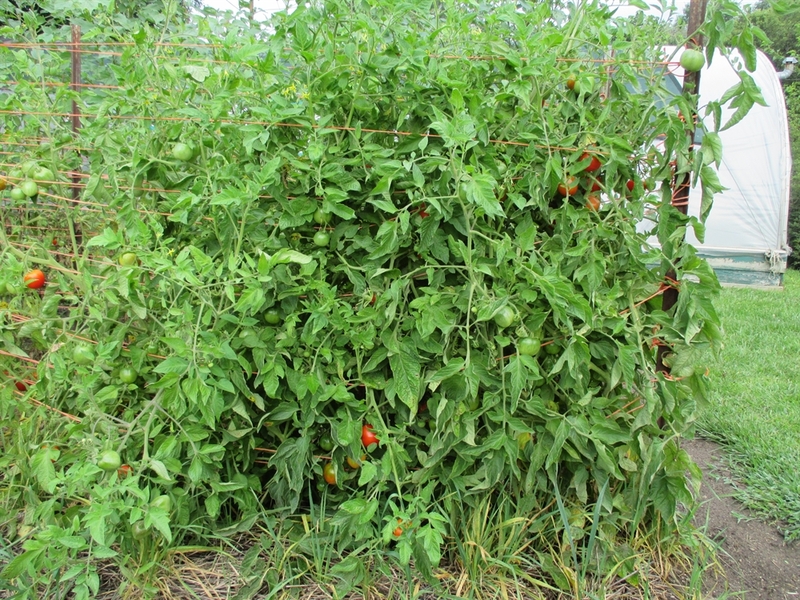 I have grown Stupice inside a high-house with no heat in the early spring (planted in March) and had fresh tomatoes by the end of April. 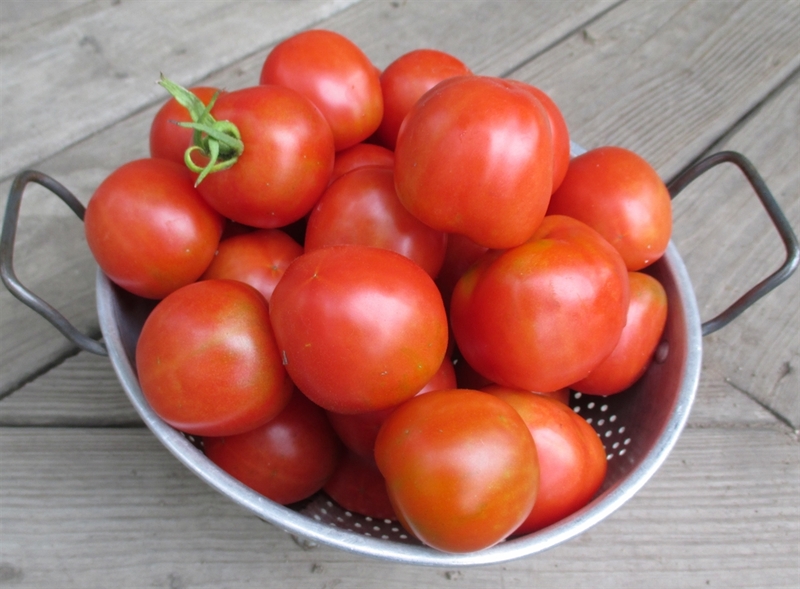 I do not recommend planting tomatoes outside before the last week of May, but Stupice is the exception to this rule. All tomato varieties will be either damaged or killed by a frost. Plan ahead for covering if frost threatens. Stupice does not seem to be affected by cool temperatures and may even set fruit when daytime temperatures are in the lower 60s. 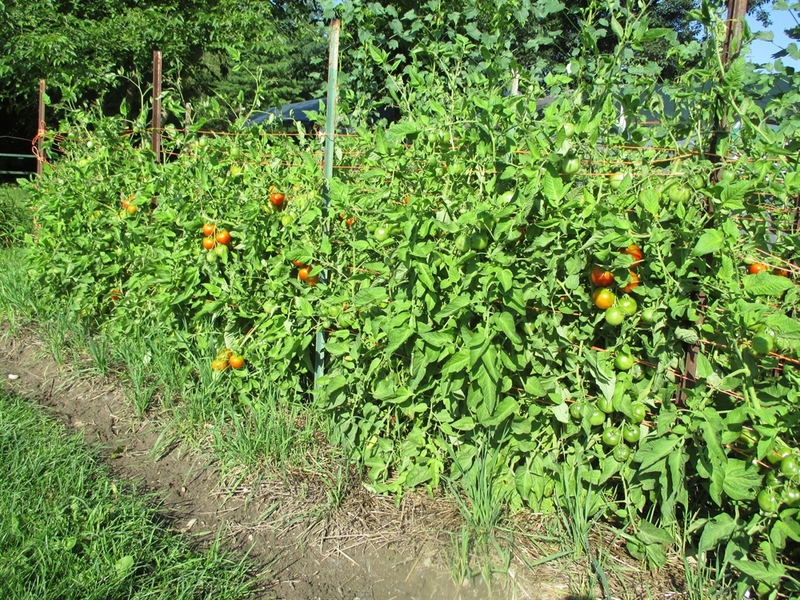 When planted outdoors in early May, you should have fresh tomatoes by June. Stupice also does well as a patio tomato. The fruit are not large, averaging about 3-6 oz. They are sweet and tangy. Excellent fresh or cooked up into a sauce. If kept picked free of ripe fruit, Stupice will continue to produce abundantly well into the fall. This is definitely a workhorse of a tomato. Sow seeds indoors 6 weeks before transplanting into your garden. Space 3′ apart in rows at least 3′ apart. 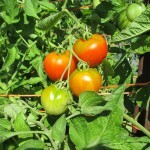 Tomatoes need good air movement to help control disease. I always mulch my tomatoes with straw. This helps to keep the soil evenly moist and keeps dirt from splashing up onto the leaves. Caging or trellising is crucial and I strongly recommend not using the round wire cages found in garden centers. These are perfectly suitable for peppers but not for heirloom tomatoes which can tend to sprawl or grow very vigorously. 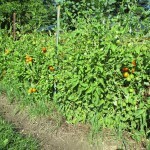 I suggest investing in a few steel t-posts and twine to create a moveable strong trellising system. Seed Saving: Isolate varieties of L. lycopersicum by 35′ for home use, 50′-150′ for pure seed.